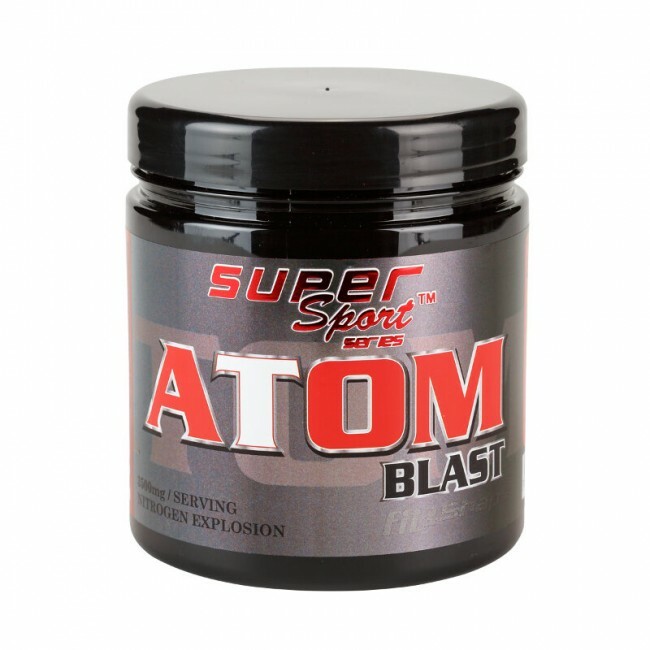 Atom Blast® is strong nitro oxide booster composed of four amino acids. It does not contain caffeine and is suitable for use when doing a workout in the evening. Atom Blast® is energetic / pumping booster that can take at any time. Especially useful when you exercise in the evening and do not want to take a supplement that would violate the calm and healthy sleep. This is a carefully selected combination of amino acids that will give you energy and keep your muscles inflated and in good condition. High quality materials are instant and easy to dissolve. The taste is slightly bitter, but rather neutral because of the high-tech processing of ingredients. DIRECTIONS OF USE: Gives more strength, energy and stamina before training. Enhances protein synthesis and builds lean muscle mass. Speeds up recovery after exercise. On workout days take one dose before training. Non-workout days take one dose in the morning or before noon, 15 min. Before meals. 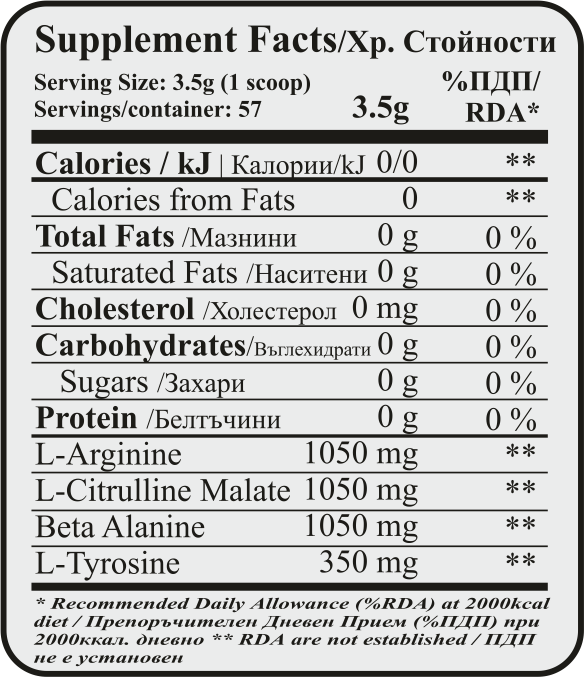 INGREDIENTS: L-arginine, L-citrulline malate, beta alanine, L-tyrosine.